A popular Hook & Band Hinge with simple yet distinctive Arts & Crafts styling and suitable for medium weight doors up to 32" (826mm) wide or heavier doors up to 29" (726mm). 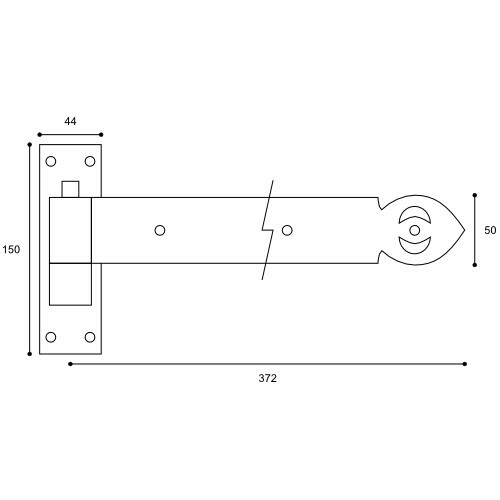 An ideal choice for external gates, room doors and entrance doors. 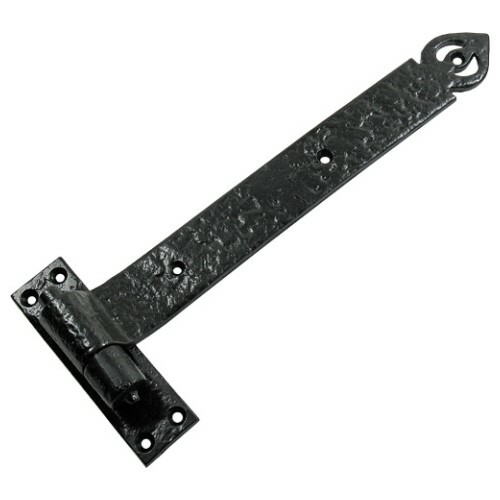 Forming part of our Wealdon Black Iron range this hinge is manufactured in Britain using traditional casting techniques and finished in Antique Black for a truly authentic look and feel. This is a "cranked" hook & band hinge that requires the door to be flush with the frame for correct fixing. One hinge (door strap and frame plate) complete with traditional slotted roundhead woodscrews in matching finish. 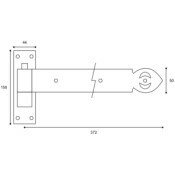 These hinges are a non stock item and normally need to be ordered in from the manufacturer. You should therefore allow approximately 7 to 10 days for despatch.